Being aware is like breathing, it is fundamental to our everyday existence. Without awareness we are moving throughout life without breath, without direction, without connecting with ourselves and thus others. Awareness is often mistaken as seeing outward, noticing what others are doing, how they are doing things, how they are stopping us from doing certain activities or stopping us from living our life. 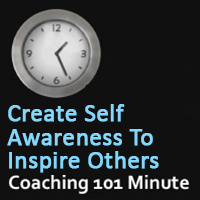 Most of our notion of awareness is being aware of others and how they are affecting us. However, awareness is having an inward focus, not an outward focus. Awareness is knowing how we breath, knowing the patterns that we have in our everyday life, awareness is understanding our connection to the universe, awareness is knowing our beliefs, our mind, our spirit, our body. The first step to creating awareness is recognizing that you want to. Having awareness could be described as having a learning pathway for your life. Learning more about yourself is part of growing as a person. It we choose not to gain self awareness then we stagnate in life and don’t grow. This may sound very harsh but how many times have we looked at others and wondered why they have never moved on in life or grown. People like this usually complain about their life but are unwilling to do anything about it. Unfortunately this person who we are observing is a mirror of ourselves. A leader is a person who is leading their own life from strength to strength. Great leaders we see around us are great because they follow their own pathway, they know who they are, they have planned out their pathway for learning and they are on the journey of greater self awareness. They recognize that self awareness is something you must value and is then part of you for ever. Being a great leader is not following someone else but simply knowing yourself. Write in a journal everyday so you can see patterns that emerge in your life. Ask your friends and family to support you as you learn more about yourself. Ask them to share what they see are your strengths, your qualities, etc. List your goals for self awareness, and what you need to achieve them. Connect with people who have the same values. 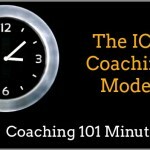 What is the fastest way to be a successful coach? What are the skills I must learn to be a good coach? What is it like to learn over the internet and on the phone?